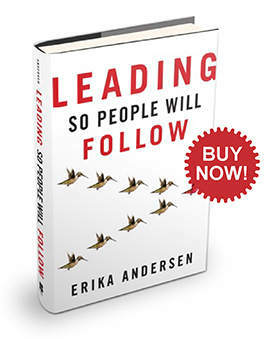 In this highly acclaimed book, respected leadership coach and popular Forbes blogger Erika Andersen explores the six leadership characteristics that inspire followers to fully support their leaders. Using Andersen’s proven approach, new leaders and veterans alike have increased their capacity for leading in a way that creates loyalty, commitment, and results. Step by step, Andersen lays out the six key attributes (farsightedness, passion, courage, wisdom, generosity, and trustworthiness) that offer people, at all levels within an organization, the tools to think and behave as fully accepted leaders. If you’re interested in volume purchases of the assessment, please contact us at alasupport@proteus-international.com. If you have received an email that you are registered, please click the button above.